The next generation messenger built for ultimate project collaboration: chat, lightweight Tasks and integrations with the tools you use. Easily create conversations with your teams - be it your internal team, your project team that includes external partners, or any group of people, really. Include anyone in the conversation with their email address - if they are not a Fleep user yet, they will receive all messages as normal emails. Unlike other team messengers, Fleep is an open network. This means that users can communicate with any other Fleep user. Users can also belong to one or several teams that have participants from within and outside their organization, enabling ultimate project collaboration. Fleep is the only messenger that works in perfect synergy with email. Add anyone to a Fleep team or conversation with their email address - and they will receive all messages as normal emails until they sign up to Fleep. Fleep is multi-platform! You can use it on a PC or Mac, Android or iPhone. All you need is an internet connection. Your files and messages are stored securely in the cloud, accessible from any device you log in from. 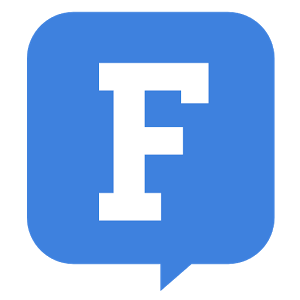 While Fleep’s conversations are text-based, sometimes you need to have a call to discuss things. Fleep has an integration with Google Hangouts, making it easy to have an audio or video call. Start the call with the click of a button - and everyone in the conversation can click on the Join link that appears to join the call.